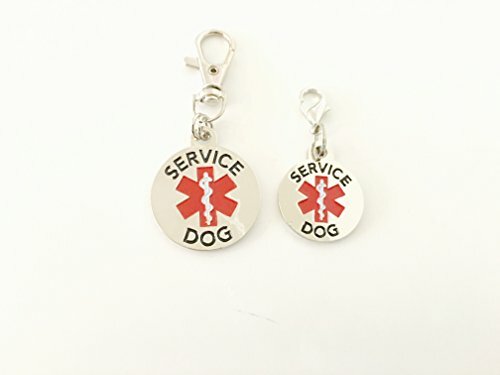 Small Breed DOUBLE SIDED SERVICE DOG with Red Medical Alert Symbol. We have not forgotten regarding our tiny pet dogs:-RRB- This is a conveniently recognizable Beautiful Dual Sided Service Canine Stainless Steel Tag with steel lobster clamp. 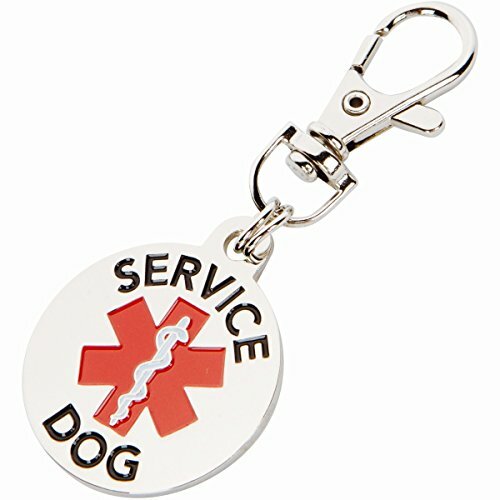 Traveling in confidence and also decrease the examining with this brilliant Service Canine ID tag. Designed specifically for your Smaller Dog. DOUBLE SIDED with Bright Easily Recognizable Lettering and Graphics. Beautiful Soft Enamel Lettering and Graphics. We refuse to use cheap printing techniques due to scratching and fading. These are the NEW standard in dog tags. Durable Light Weight Stainless Steel with Metal Lobster Clamp. 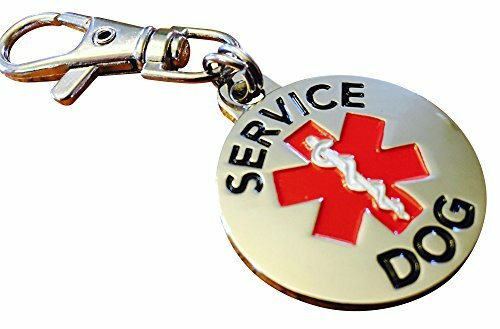 These Tags are Built to LastBright Colors make this tag Noticeable to the Public and Establishments This Service Dog ID Tag will allow your service or working dog to enter restaurants, buildings, hospitals, shopping center, hotels, cruise ship, grocery stores and even airplanes as per ADA laws. 100% Satisfaction Guaranteed. We're confident you'll be proud for your dog to wear these tags. VETERAN and FAMILY Owned Business.